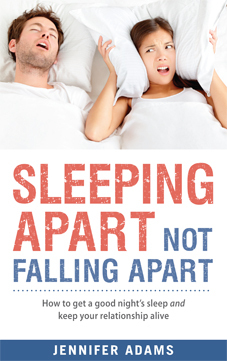 This chapter focuses on all the things that can go wrong when you share a bed with another person. There are probably more potential problems than you think! I hope you enjoy the read….. and if you do – why not buy the book! There is a lot more information about why you might need to sleep separately and how you can go about negotiating with your partner to make it happen.